What happens when a group of heavily tattooed thugs, a precocious snow-white cat and a team of special ops assassins appear in the same ad? Don't fret—the feline emerges unscathed. The drug dealers? Not so much. Ubisoft continues its full-scale marketing assault for the hotly anticipated title Tom Clancy's Ghost Recon: Wildlands with a 90-second mini-movie from action maven John McTiernan, the filmmaker behind Die Hard, Predator and The Hunt for Red October. The sleek and muscular live-action commercial, created by DDB Paris with a touch of whimsy, centers on a righteous execution that would be at home in any blockbuster flick. It also shows off a number of McTiernan trademarks—visceral style, clever reveals and darkly funny flourishes. 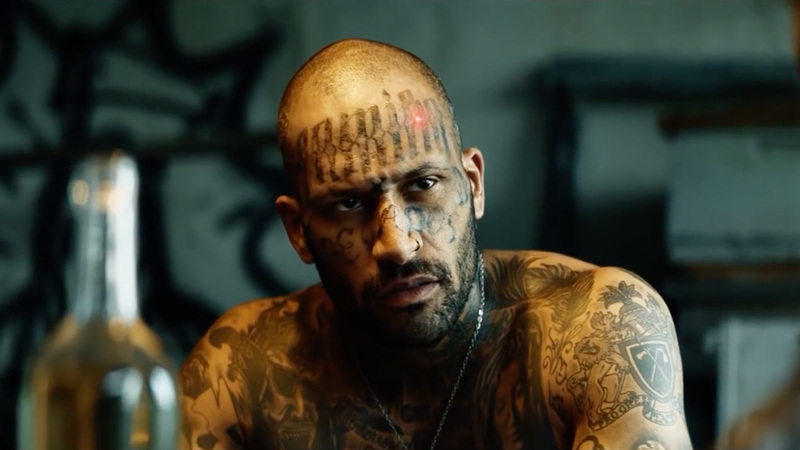 The ad, called "The Red Dot," is said to be McTiernan's first produced film in 14 years following a string of legal troubles that eventually landed him in jail for a year. The spot follows a curious cat as it chases a laser pointer around a room where scary-looking dudes are playing cards. The military team outside—the tagline reminds us: "Some are soldiers, we are ghosts"—take aim and fire with deadly precision, to the strains of a Spanish-language cover version of "Tonight I Fell in Love" that serves as the oddly playful soundtrack. Ubisoft execs, who described the game as their "largest action adventure ever" when they previewed the latest in the hit franchise at E3 last summer, have already used some groundbreaking marketing for the title, including ads targeted at specific types of gamers on Facebook. Another piece, with A-list Hollywood talent, is coming soon. Roberto Orci (Star Trek) and Avi Youabian (The Walking Dead) worked on the upcoming 30-minute live-action promo video, dubbed "War Within the Cartel." The branded content aims to give some backstory about the Santa Blanca drug cartel in Bolivia and the world that the heroes are invading. The video comes via a partnership with Amazon and Legion of Creatives with distribution on Ubisoft's Twitch channel on Feb. 16 and then Amazon Prime Video. Ghost Recon: Wildlands launches in March for Sony PlayStation 4, Xbox One and PC.